Boris Karloff sits for adjustments to his mask while prepping to film 1953 spoof Abbott and Costello Meet Dr. Jekyll and Mr. Hyde. Despite this still, Hollywood lore suggests that Karloff only appears in the film as Dr. Jekyll, while the evil Mr. Hyde was portrayed by an uncredited stuntman. Here’s a pic of Karloff in the chair without the mask. 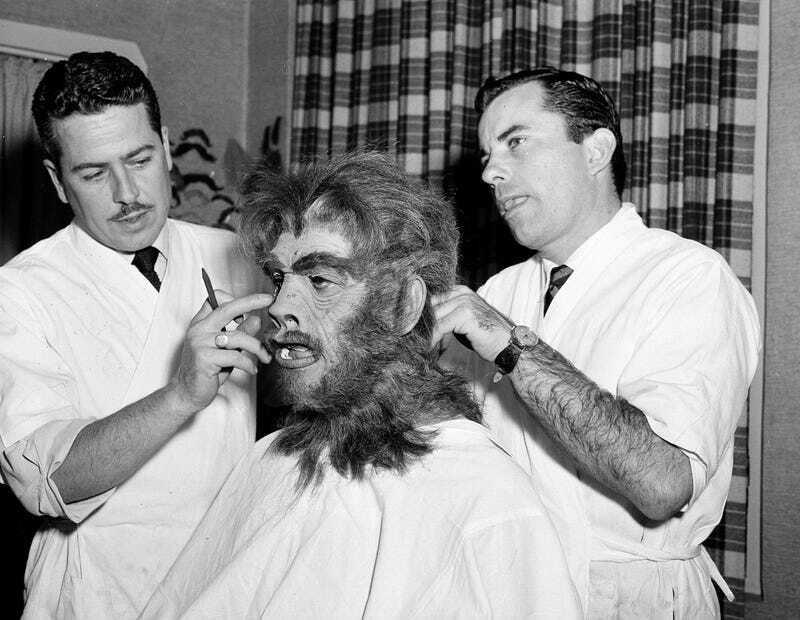 Multiple masks were crafted by studio make-up chief Bud Westmore (right), and make-up artist Jack Kevan, to show the character’s transformation from man to monster.